The first thing that comes to mind when you think of this state is bright lights, shows, and coins clinking but Nevada has more to offer than casinos. While many immediately think about Las Vegas when thinking about Nevada, there’s so much more to the state. The Grand Canyon is a hop, skip, and jump away; the Hoover Dam is breathtaking to walk across. Nevada has a good mix of both natural beauty and human-made fun. Let’s take a look at the top five RV parks and campgrounds in The Silver State. Thousands of years have transformed this boring landscape into an alien world of spiral and caves. With Cathedral Gorge State Park’s updated facilities, you can stay right in the middle of the action. There are RV sites with electric hookups, and water sources and dump stations are located throughout the park. Shaded tables and grills are available at some websites. There are also showers to rinse off the dust from a fun day. The erosion from water and wind has carved the landscape leaving a spectacular State Park today. You can use the different trails to survey all the different parts of the parks and look on the spires, buttes, caverns, and other unique formations. Hike up to Miller Point to gaze over the whole landscape. Cathedral Gorge is also excellent for birdwatchers for the birds of prey, hummingbirds, kestrels and more, keep an eye out for the shy roadrunner. You may not expect alpine forests and lakes in Nevada, but that’s exactly what you get when you stay at Mountain Shadows RV Park. The park is isolated but still provides tons of amenities and features for the RVer. There are full utility hookups, cable TV, and Wi-Fi access, as well as clean bathroom, shower and laundry facilities. A grocery store and other amenities are available next to the park as well. The local area is chock full of outdoor activities, history, and other fun. Wells is right on the doorstep of the excellent fishing at Angel Lake, the alpine views of the lower Humboldt and Ruby Mountain ranges. Miles of trails wind through these areas and are an excellent place for hiking, biking, ATV exploration and more. Downtown Wells offers an authentic old west experience, and Chimney Rock Golf Course offers nine holes with a killer view. This popular campground is your home base for exploring all the great attractions the Reno/Sparks metro has to offer as well as the Tahoe area. Sparks Marina RV Park is feature rich to keep you comfortable while there. They can accommodate the big rigs with spacious pull-through spaces equipped with 30 and 50 amp electrical, water and sewer as well as free cable TV and Wi-Fi access. There are large and private bathrooms and shower houses as well as laundry facilities. There is also a camp store, fitness center, clubhouse, and a BBQ area to name a few areas. Sparks Marina RV Park is a great place to stay out for a long time to experience all the local area has to offer. You are right next to Sparks Marina and Sparks Marina Park. The park offers 300 acres of windsurfing, sailing, boating, skiing or relax on the shoreline and play in the extremely clean water. You are also right next door of all the glitz and glamor Reno has to offer, or you can take the opposite path and explore Lake Tahoe State Park of Nevada less than an hour away. See Nevada’s majestic high desert landscape at their oldest and largest State Park. Although Valley of Fire State Park is Nevada’s oldest State Park, there are some modern conveniences. Valley of Fire can accommodate RVs up to 50’ with both electric and water hookups. Most campsites are also outfitted with picnic tables and grills. The site rounds itself out with dump stations, bathhouses and more. Valley of Fire has a stark beauty worth exploring. Hike one of the parks many trails to see the history of the land including remnants of the ancient peoples who used to live there. There are petrified trees, caves, and 3000-year-old petroglyphs. This is a great state park to explore if you love unique flora and fauna. How could we do Nevada without giving you a great RV park in Las Vegas? 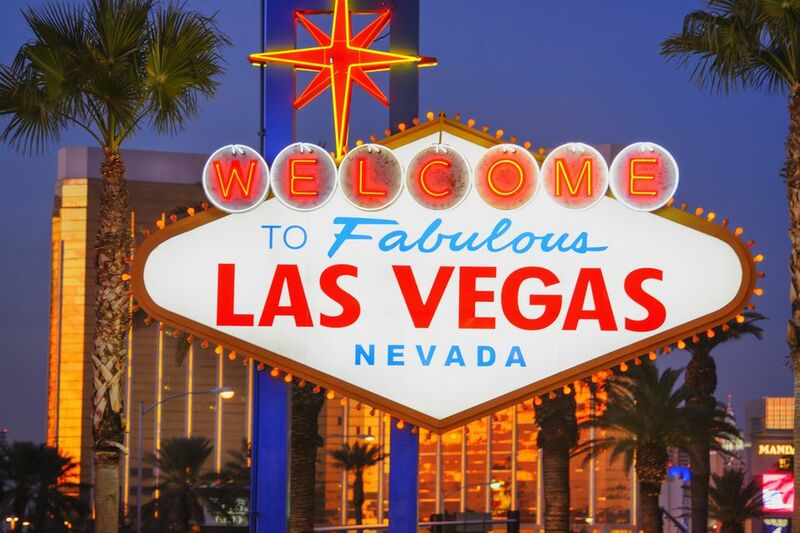 Las Vegas Motorcoach Resort is your place to experience Fabulous Las Vegas. The park contains more than 400 RV sites outfitted with electric, water, sewer, cable TV, Wi-Fi access and even landlines. There’s a 10000 square foot entertainment facility, 24-hour security patrol, spa and fitness center, five-star bathhouses and concierge service at the welcome center. You don’t even have to leave the resort to experience pampering whether it be playing tennis on lighted courts, relaxing in the resort-style pools or spas, getting a massage or putting around on the nine-hole putting course, or having a shake at their 1950s themed restaurant. Of course, though, you are in Las Vegas, and the fun never ends. Use the resort’s concierge service to find the best casinos, entertainment, and dining for you.